The appeal of hugging a tiger for many is huge. The thought of embracing one of the most majestic and ferocious felines in the world can simply be too tantalising. Before you part with your cash to do this, it is important to wonder why these wild animals are letting you pose for a photo with them. The importance of this quandary came to light when pictures were taken of Beyonce, Jay Z and and their three year old Blue Ivy petting a baby tiger on their holiday in Thailand. Animal welfare experts and campaigners from around the world were enraged by these photos, which could really encourage other tourists to do the same. The story has hit headlines in news productions such as the Daily Mail and the Huffington Post. Visitors to Thailand are often unaware of the cruelty that tigers suffer in these attractions. World Animal Protection has recently launched a campaign about the cruelty in the tourist industry relating to tigers in Thailand. Wildlife expert at the international animal welfare charity, Dr Jan Schmidt-Burbach, explained that tigers are not playthings. We should all realise that a tiger’s health and well-being should not be sacrificed for the sake of a photo. 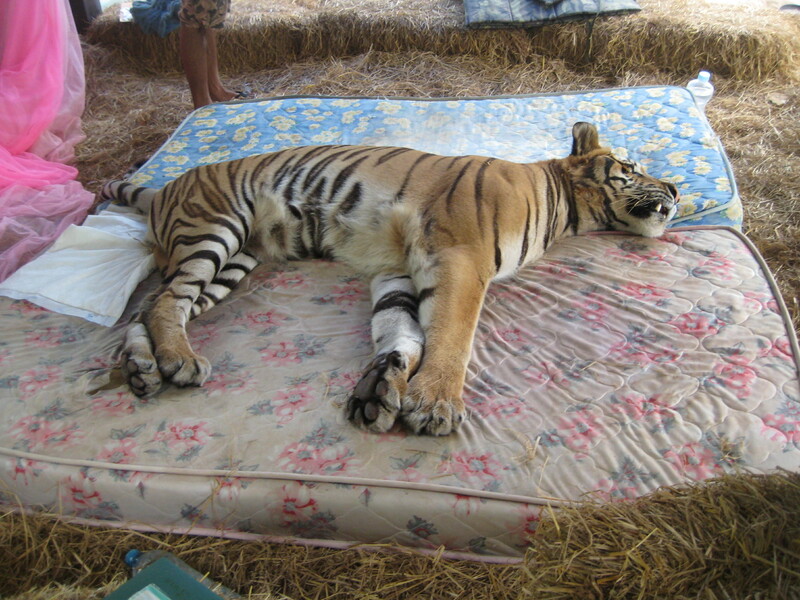 Often that tiger will have been drugged and abused to force it to be docile for the cameras. Global research shows that 50% of people who pay to experience tigers in Thailand in this way, do so because they love animals. This shows the importance of World Animal Protection’s campaign. Oyster Worldwide has been working hard with charity partners in Thailand since 2012 to educate visitors and volunteers to the country. In that time many people have decided to spend time volunteering at a wildlife sanctuary, which campaigns against such cruelty and rescues animals from such cruelty too. To find out more about this, visit our wildlife volunteering website.